The Pinellas Trail is one of my favorite things about living here in the Tampa Bay area. It’s a 40-plus-mile paved trail that’s used for biking, walking and rollerblading. It attracts the locals, from distance bikers to families with tricycles, and is equally loved by visitors who want to rent a bike from one of the local shops or simply take a long stroll on the tree-lined path. 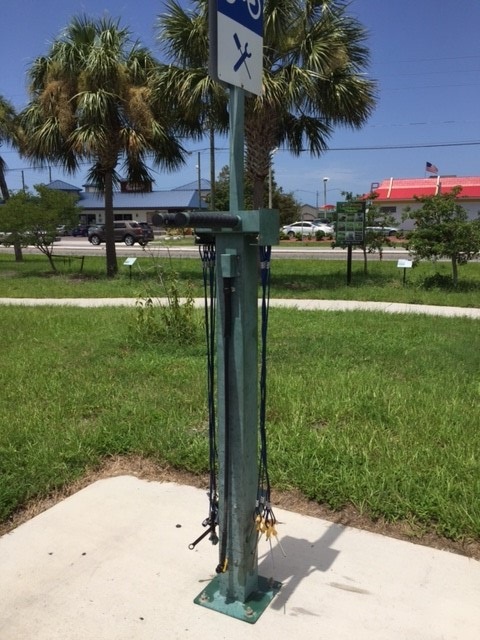 The entire trail runs from St. Petersburg to Tarpon Springs, some of which was converted from an old railroad line, but the trail continues to grow and now links to several other trails in the Tampa Bay area, including in the lovely community of Safety Harbor. I’ve biked on the Pinellas Trail many times, but personally, I prefer to rollerblade on it. I know, people think rollerblading went out with the ’80s but I think it’s one of the best sports out there! A good chunk of the trail was repaved a few years ago, from Michigan Avenue in Dunedin and northward into Tarpon Springs, so the pavement is nice and smooth. Where I blade, there’s only one busy road to cross, Curlew Road, but it’s got a traffic light and a crosswalk so it’s pretty safe. The rest of the roads are small side streets, so there’s virtually no traffic to contend with on my 10-mile route. 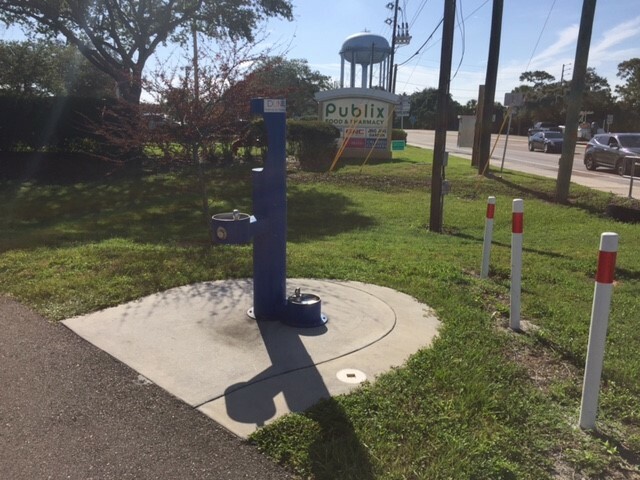 In the Dunedin/Palm Harbor section of the trail, you’ll find a bike tune-up station, a water fountain and bottle filler, courtesy of the City of Dunedin, and ample parking, thanks to Publix supermarket. So next time you’re in the Tampa Bay area, check out the Pinellas Trail and you’ll see what clinched my decision to leave the snowy winters in NY and move to Florida in 2004!